If you have been interested in the recent limited edition leather Fujifilm X100 we featured here on Geeky Gadgets last week. Before you part with your hard earned cash you might also like to consider these very unique wooden case finishes for the Fujifilm X100. The unique wooden Fujifilm X100 casings have been created in walnut and cherry wood and brings a fantastically different natural finish to the camera. 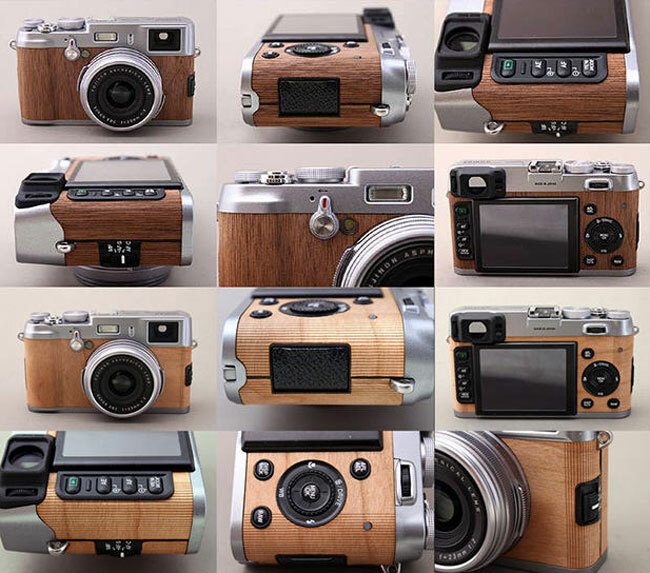 The wooden case modifications are offered by Aki-Asahi Custom Camera Coverings. Aki-Asahi Custom Camera Coverings also offer a number of leather and exotic animal skins coverings, including camel, crocodile, and lizard if those particularly take your fancy.